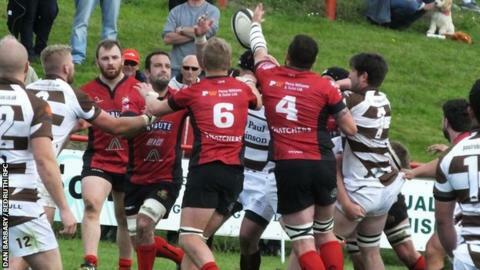 Redruth boss Steve Larkins says he is delighted with the form his side are currently showing. The Reds are second in National Two South after their 23-22 win at Bury St Edmunds last week. "Everything has been going really well at the moment," head coach Larkins told BBC Radio Cornwall. "Pre-season went particularly well and that's gone onto the league season. To get 14 points form a possible 15, we're extremely happy." The Reds have begun the season with back-to-back away wins, equalling the entire number of times they won on the road last season. "For the squad to leave early evening on a Friday and come back in the early hours on a Sunday morning is a tough ask for the players," Larkins added. "To perform like they've done with two wins away from home is really good. "Over the last few years it's always been said that Redruth don't travel well, but hopefully this year we've turned a bit of a corner when it comes to away travel."